Ingesting too much vitamin D in supplements or fortified foods can cause bone pain, muscle aches, and other body symptoms. A loss of bone calcium causes the bone pain, and the resulting increase in blood calcium level and its effect on body tissues cause the other symptoms. 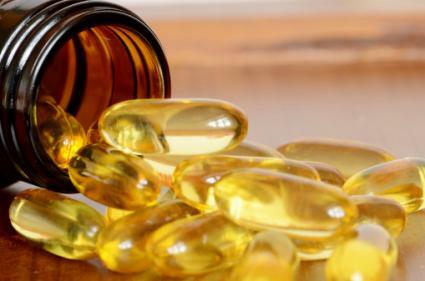 With the current emphasis on the multiple roles of vitamin D and the risks of vitamin D deficiency, make sure you are not taking in more of the vitamin than recommended. According to Advances in Experimental Medicine and Biology, vitamin D, along with calcium and phosphorous, is essential to normal bone formation and mineralization. A high vitamin D blood level leads to bone pain by causing increased resorption and remodeling of bone and calcium turnover. This can happen quickly from taking a massive doses of vitamin D, or slowly from prolonged ingestion of somewhat smaller doses. It depends on other individual health factors. Bone remodeling is an ongoing dynamic process of breaking down (resorption) and releasing calcium, then rebuilding (mineralization) by reusing calcium. 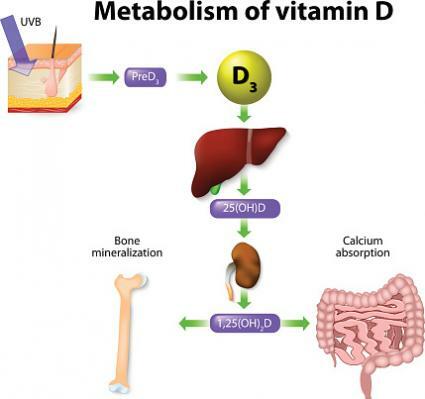 With high vitamin D levels, the process of resorption is greater than that of mineralization, and bone loses calcium to the blood circulation. This leeching of calcium causes bone aches and pains and in the extreme, it can lead to osteopenia and osteoporosis in adults and osteomalacia in children. The level of pain depends on how much your bones are affected. You may be at greater risk if you have kidney or liver problems or take a medicine, such as a diuretic or steroids. The resulting high calcium blood level (hypercalcemia) from the three activities explains the multiple other symptoms seen in other organ systems when too much vitamin D is consumed. Based on a 2008 review in the American Journal of Clinical Nutrition, hypercalcemia is seen when vitamin D blood levels rise above 375 to 500 nanomoles per liter (nmol/L). Bone pain can begin to occur even at the lower end of excess vitamin D levels when the exposure is prolonged. According to the National Center for Biotechnology Information, researchers consider a normal vitamin D blood serum level to be between 30 to 50 nmol/L and 250 nmol/L a safe upper limit of normal. Toxic symptoms of vitamin D excess, or hypervitaminosis D, occur most often when the vitamin D level is 750 nmol/L or higher. The worst symptoms are seen in cases of vitamin D toxicity or overdose. Over time, calcium deposits can occur in tissues throughout the body, including the brain, heart, and blood vessels. Because vitamin D is fat soluble, it is stored in fat and released when needed. Excess amounts from these sources can build up over time and, although uncommon, can lead to toxic symptoms. Add up all your sources of vitamin D to keep on top of your daily intake. There is no need to take a supplement if you are getting enough from your diet unless your doctor advises it for health benefits. Try to increase natural food sources of vitamin D in your diet, such as salmon, sardines, and egg yolk. If you take supplements or drink or eat fortified foods, make sure you are buying them from reputable, familiar sources. Scrutinize your vitamin product labels so you understand how the dose stacks up against expert recommendations. 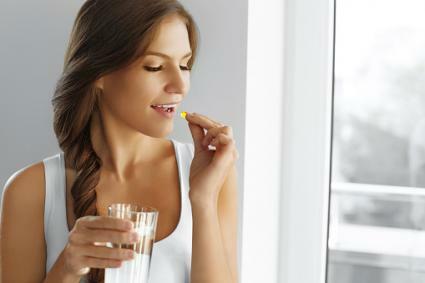 If you are taking high doses of vitamin D from supplements or other sources and develop bone pain, especially if associated with symptoms of high calcium, speak with your doctor. A simple blood test to measure your blood serum vitamin D and calcium levels will provide valuable information.